Road Trail Run: Garmin Fenix 5 Plus Full Review - The Ultimate Garmin? The Ultimate Multi-Sport Watch? Garmin Fenix 5 Plus Full Review - The Ultimate Garmin? The Ultimate Multi-Sport Watch? The mighty Fenix 5 series goes Plus. 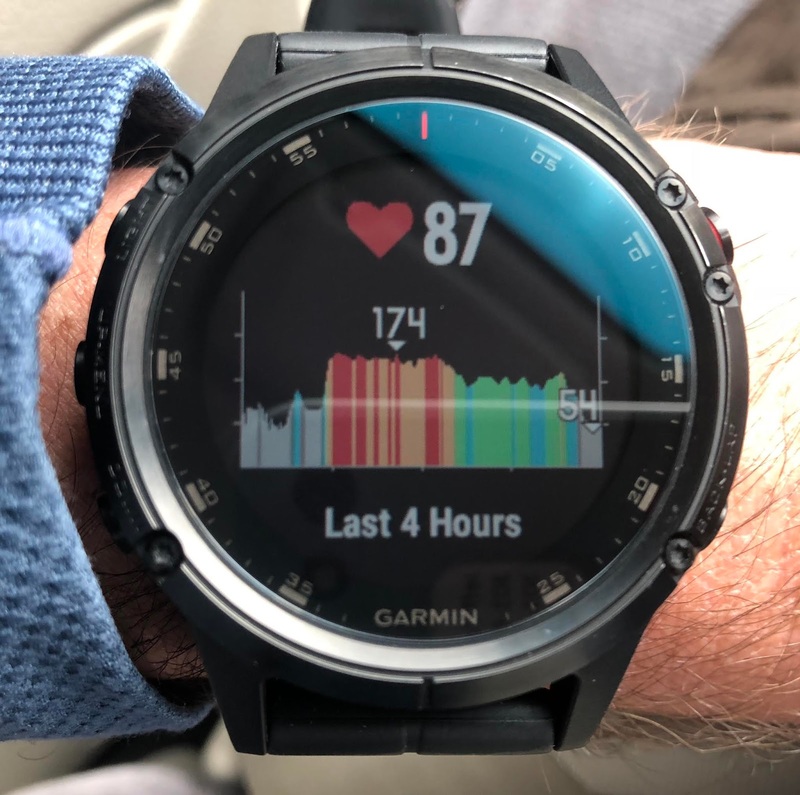 This multi-sport, fully featured, rugged GPS and wrist heart rate watch series has nearly every sport feature, performance and physiology metric imaginable. The Plus series has a wide range of significant upgrades over the original Fenix 5 series, enough so that Garmin probably should have just called it a Fenix 6. The 5 Plus series, while very similar in looks to the 5 series, now has yet more slim bezels for a more refined and streamlined less chunky/blocky look. The Plus series also has a new band style that is still QuickFit, that is a bit softer, more smoothed and refined looking. Quality, as with the prior 5 series, is absolutely top notch, with heft that gives a feeling of substance and ruggedness. The sapphire models really shine, with nearly indestructible lenses, we have put the 5 Plus Sapphire through the ringer with nary a scratch. Though not a smartwatch per se, we find the Fenix series to provide a wide range of apps, widgets, watch faces, phone notifications, on board music, NFC payments and bluetooth connected functionality to satisfy all but the most serious smartwatch aficionados...and battery life that is far superior when compared to the leading smartwatches. 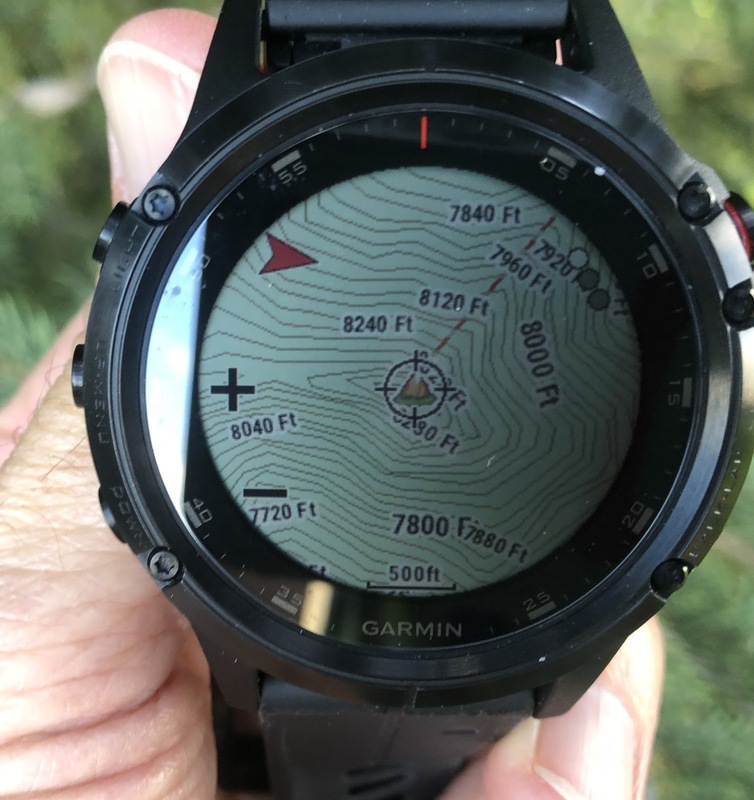 All three Fenix 5 get 16 GB of full color topo map capability on 1.2"/30.4mm displays. 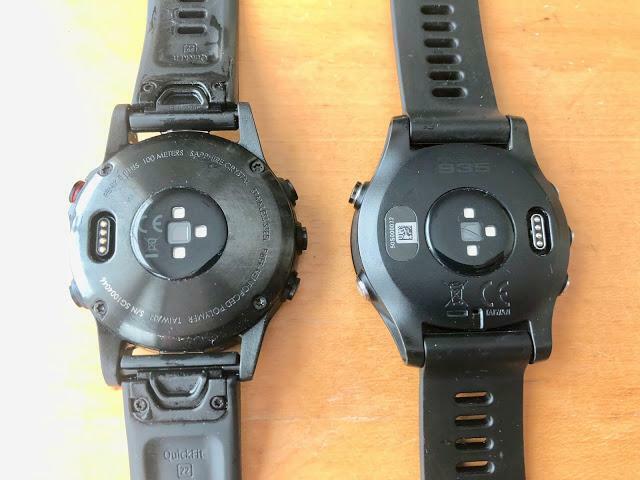 Previously only the Fenix 5X had color maps. New GPS chipset for greater accuracy as well as the inclusion of Galileo satellite constellation. There are three Fenix Plus models distinguished by size of case, battery life and in the case of the Fenix 5X Plus the addition of a pulse oximeter sensor to monitor altitude acclimatization. In a nutshell the bigger the watch the longer the battery life. The screen size of the 5s Plus has also been expanded to match the screen size of the larger 5 Plus and 5X Plus by more efficiently utilizing available space and narrowing the bezel even further. Each model is available in several flavors, with the 5S Plus and 5 Plus each offering a less expensive non Sapphire lens model, with the rest of the choices Sapphire with variations in bands (color silicone band, leather band, titanium metal band and varied bezel colors). The 5 Plus even has a lighter Titanium model with a titanium bezel and rear case for lighter weight. The 5X Plus models all have Sapphire glass, but with fewer variations otherwise to choose from. Weight: 86 g, 76 g Titanium. Spec battery life: up to 18 hours GPS. All can extend battery life via the UltraTrac mode with up to 70 hours GPS with the 5X. Jeff: I have particularly thin wrists and have struggled a bit with larger GPS wrist watches in the past, both in terms of everyday wear, as well as optical heart rate accuracy. I find my previous daily wear/running Fenix 5X to be comfortable, but at 51mm and 98 grams, it is a big watch and dwarfs my skinny wrists. I am essentially always aware of the 5X, less so while running and focused on the terrain ahead, but during all day wear it is notably obtrusive. Wearing it to bed for sleep tracking is a burden. The smaller 5 Plus however, though still a touch on the heavy side at 86 grams, feels notably lighter in comparison, aided by the overall smaller dimensions at 47mm. The silicone wrist band feels a bit more supple and thus more comfortable and overall the 5 Plus feels less bulky and more reasonable for everyday wear (though still a bit much, at least for me to wear to bed). 5X on the left and 5 Plus on the right. The 5 Plus, though only 12 grams lighter and 4mm slimmer in diameter (though with equal screen size), feels significantly lighter and less blocky than the 5X. The band is also 22mm vs. 26mm in thickness, further contributing to the paired down look/feel. 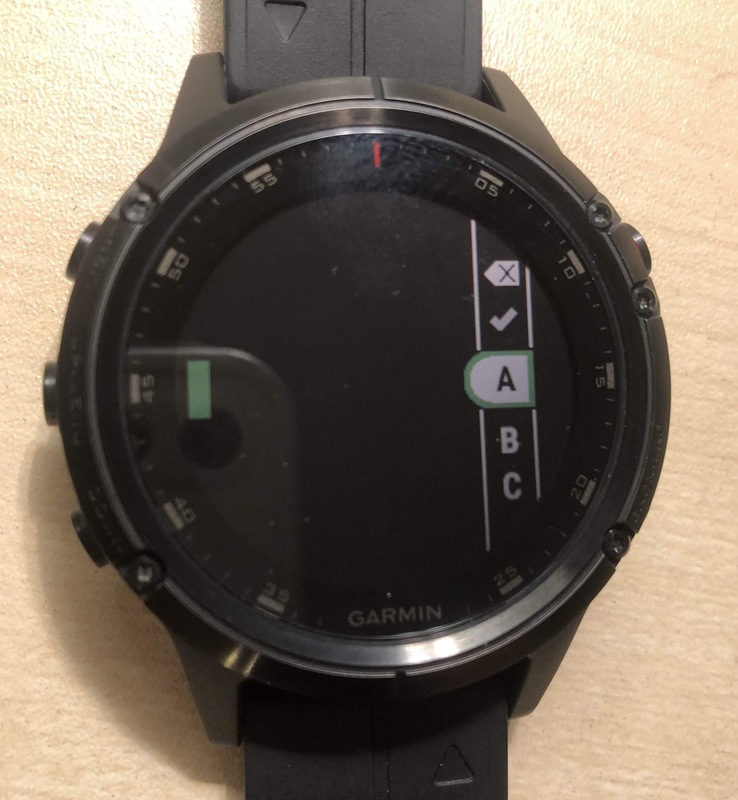 Optical HR on the Fenix 5X works well for me for 24/7 tracking, but while running, has not shown any level of accuracy for me, most likely due to the bounce on my thin wrist. The 5 Plus on the other hand is much more accurate for me (usually after a 5 - 10 minute warm up) generally tracking in parallel with a chest HR strap. I occasionally get the odd spike, especially after stopping on a mountain summit and then resuming my run downhill, it can take a few minutes to get back on track, then is consistently accurate after that. I get slightly better results on my dominant wrist, but not enough so to wear a watch on that wrist outside of reviewing. Above, the 5 Plus (blue) vs. chest strap HR on S9 Baro, tracking quite closely. This is about as close as I ever see, not perfect, but close enough for my casual use. 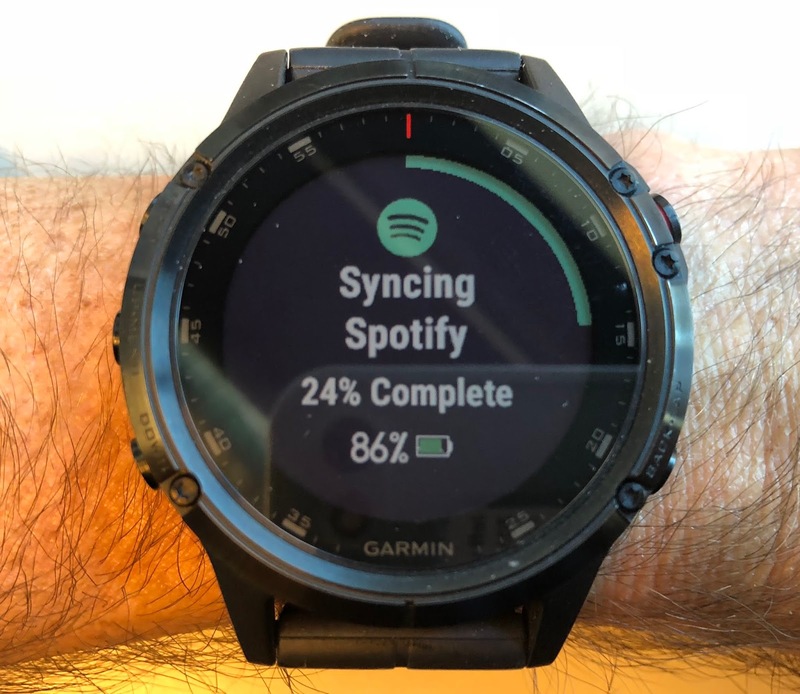 Sam: The Fenix 5 Plus is clearly more comfortable on the wrist than the Fenix 5X we tested last year and while heavier is almost as easy on the wrist as the Forerunner 935. I too have thin wrists. My comfort test...can I sleep with the watch? I can with the Plus. I often took the Fenix 5X off sometime during the night and even occasionally the 935. Here not once so far have I felt any discomfort. This is a classy and pricey sport watch that I can wear 24/7 for everyday use, sport, and sleep which was not the case with the Fenix 5X due to its bulk and the Forerunner 935 due its plastic watch look. While warm damp summer weather is not a good test of wrist heart rate accuracy as I usually find these conditions to produce more accurate results, so far it has been near flawless on the run although sometimes a few minutes warm up is required to lose the sensor's confusion with cadence. As our testing was in summer when winter comes we will re test and update. 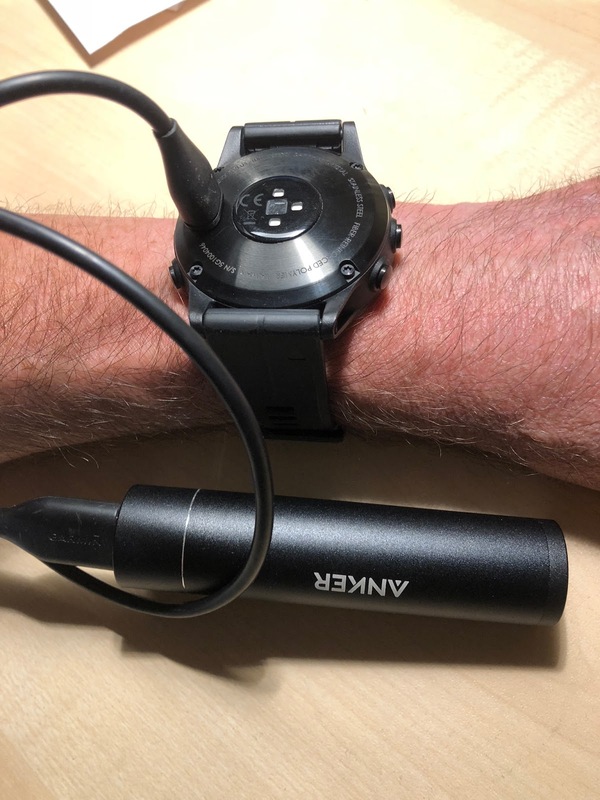 I have small wrists and the larger and heavier the watch accuracy can suffer, particularly in colder dry conditions when the sensing can confuse cadence with heart rate. If in run wrist HR date is vital I always switch to my dominant wrist as dominant wrists have more girth and better blood flow and where I always get better accuracy. Over the course of the test period, we found battery life to be on average, slightly less than the 18 hours advertised with oHR and bluetooth enabled, but with no music playing. With backlight to its lowest setting, oHR on, notifications off and no music we were able to match and slightly exceed the 18 hour battery life extrapolating from runs of approximately 1-2 hours. Using the music function also in theory should cause a further drop in battery life, which was the case sometimes, but often observed no noticeable penalty whatsoever. Using the maps however, as well as the backlight on higher settings further takes a toll on battery performance. Using the less accurate UltraTrac mode can significantly further extend the battery life as well. Based on our testing we estimate that the 5 Plus battery life to meet and potentially exceed the 42 hour spec seeing extrapolations of 56, 35, and 46 hours with one outlier run, also the least accurate in terms of distance, estimating only 19 hours. Each run was approximately one hour. The discrepancies are likely due to when the battery meter ticks over as the runs were short and used a minimal battery percentage. That said, the 18 hours spec is still 6 hours less than the 24 hours for the previous Fenix 5. We found this to be somewhat of a disappointment, certainly not a deal breaker, but something to take into consideration if you run Ultras or use for longer outings. 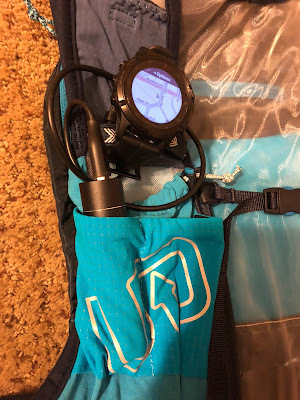 This said, and see our section below on UltraTrac, track and distance accuracy while not always tracking right on the trail we found the plotted track is “close enough” for most uses where extended battery is desirable. Interestingly in 3 of the 4 UltraTrac runs above, the outlier being the run which was also predicting a very low battery life, the other three 5 to 6 mile runs were within less than a couple hundreds of a mile of another Garmin run concurrently when finalized, including a run on very twisting trail. 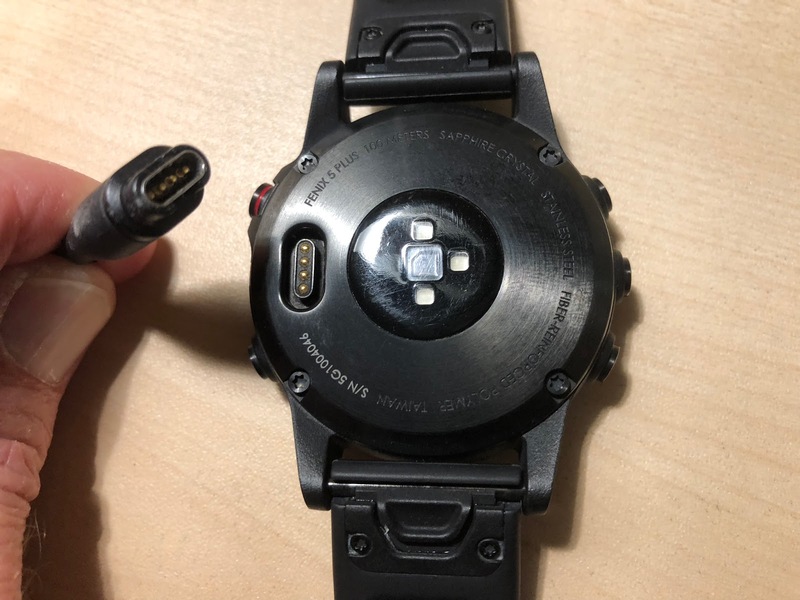 Charging is the exact same as the previous Fenix 5 series. The connection is very secure and reliable, charging is fast (roughly 2 hours from near empty), but if you want to charge on the go with a battery pack (say in the middle of an Ultra), you would either need to hang from your run vest, or you could flip the Quickfit band and wear upside down, though you would not be able to read the screen. With the Quickfit, you can still charge on the go from the wrist. I found signal acquisition in general to be very quick, always less than 30 seconds, though occasionally can take a bit longer if acquiring in a new area or in a deep canyon, but I have never had it take longer than a minute or two. Sam: Signal acquisition has been incredibly fast. A mere few seconds in most cases. I even tried acquriing while driving and the signal was acquired in less than 5 seconds. Jeff: GPS accuracy has improved over the previous Fenix series with the new and upgraded chipset. Accuracy is on par with my previous benchmark device, the Suunto Ambit3 Peak, equal to the Forerunner 935, Suunto 9 Baro and a little bit better than the Fenix 5X. All of these watches give a reasonably accurate track on average, but any of them can vary at times from the actual steps taken on the ground when viewing on a map, though overall distance recorded at the end being about the same and signalling at each mile marker occurs within seconds of one another. Reception in deep canyons and mountain valleys is excellent with only the very rare missed ping and consequent bouncing line which has only happened a few times and only in the deepest and narrowest canyons. I even had the opportunity to test the 5 Plus among the mighty redwoods on a July trip to Northern California. Even in a deep valley, within dense groves of the tallest trees on the planet, many soaring over 350 feet, the 5 Plus was able to maintain reception and give accurate coordinates, which was especially helpful navigating off trail to locate the (not advertised or promoted) the tallest tree on the planet, the 380 foot Hyperion tree. At the end of our hike, the distance read nearly double what we truly hiked due to all the false or missed readings from the satellites, but even so, using the 5 Plus with on board 100k topo maps and lat/long coordinates proved to be an easy and reliable way to navigate. Above is our track while exploring the Redwoods. We were moving slow, stopped a lot and in a deep valley surrounded by trees up to 380 feet in height. This section was a total of about a mile out/back, but you can see the 5 Plus registered Mile/Lap #4-8, so it was clearly struggling and wandering. Remarkably however, the 5 Plus was maintaining very close Lat/Long readings and got me to within 50 feet of the World’s tallest tree. Navigating with the map on the watch was spot on accurate relative to our location at any given time. Above, the 5 Plus (blue) and Suunto S9 Baro (RTR review), both set at 1/second recording intervals (both at best) record my exact path within a few feet and are very consistent over the course of the run. If you zoom in however, you can see that both watches take turns being on the exact path, or just slightly off to the side. In my opinion, being this close to the exact path though, within a few feet is acceptable and even expected given the tolerances of GPS accuracy overall. The 5 Plus series now supports Galileo in addition to GPS and Glonass. You can select from GPS only, GPS/Glonass and GPS/Galileo. Galileo still seems to be in it’s early stages and I have tried it a few times in testing, but have yet to truly observe any significant difference overall. I have uploaded an app to my iPhone called GPS Plan that tracks satellites overhead based on your location. At any given time, it appears that I have access to 7-11 GPS, 3-8 Glonass and 2-7 Galileo satellites. On one run (above), I noticed in my go to test canyon, the 5 Plus (blue) running GPS/Galileo tracked significantly better than the S9 Baro (purple). Yet lower down on the flatter sections, the 5 Plus (blue) still running Galileo paralleled a good bit off of the trail, where the S9 Baro was spot on. These are the type of anomalies that pop up from run to run and even within the same run that make it difficult to decipher how much benefit, if any Galileo is providing. Sam: We tested GPS and distance accuracy using UltraTrac. As covered above UltraTrac can at least double battery life vs. best mode. We mention both GPS and distance accuracy together as while the less frequent polling of GPS signals produces a less accurate track on the map, in the end, during 3 out of 4 runs, the actual distance when compared and a Forerunner 35 run at the same time was within 0.01 miles of each other. The track produced by UltraTrac on trails is not entirely a series of straight lines between pings as one would expect but generally follows the actual trail’s turns with occasional straight lining. One can see that the Fenix 5 Plus on UltraTrac struggled with the very convoluted section of trail above. Does the accelerometer and related step count and stride length tracking, as well as the compass, play a role in adjusting between pings? Below the same section of trail tracked simultaneously by a Forerunner 35 on my daughter's account. The overall run track of the 5 Plus in UltraTrac ended up within 0.01 miles of each other. Yet examining the last 2 miles of data we see the Fenix 5 Plus showing a considerably slower last 1.5 miles than the Forerunner 35 (below) and this on a wide open straighter road, although one with a significant hill on one side which may have caused the “cutting" of the last corner before the straight away to the finish for the 5 Plus track. Based on my perceived effort in that last section, the Forerunner is clearly correct, my daughter Hannah and I were flying, and the 5 Plus lap pace shown is far slower than reality, and if recollection serves, far slower than the lap pace in the final half mile where I clearly remember a pace well below 8 minute miles when I glanced. 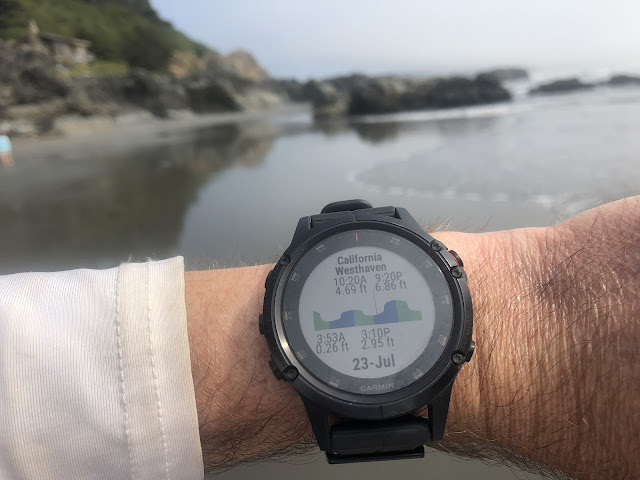 I suspect that in UltraTrac the watch extensively uses accelerometer (stride length calculations) and compass data potentially averaging to get in run pace and that this process could not handle the rapid and quite sudden acceleration we had on the road, significantly faster pace than on the trail, but that in post processing, to arrive at a more accurate distance it somehow adjusted as both watches ended up so close in distance on this run and 3 of 4 UltraTrac test runs. Jeff: Using UltraTrac with the 5 Plus, I had more varied results. Running on flatter more wide open terrain with fewer twists and turns, I got similar results to Sam above, but when using UltraTrac mode in more mountainous terrain, canyons, ridges, tall trees and towering rock formations, I found that the track would wander quite a bit and provide erroneously long distance results. In the photo above, blue represents the 5 Plus in UltraTrac mode, as compared to the Suunto S9 Baro in purple set on Ultra ~140 hour tracking mode (utilizing FusedTrack, see our full S9 Baro review here). The S9 Baro is quite closely following my actual path, whereas the 5 Plus is wandering quite a bit. I would not be all that surprised by this in the narrow deep canyon in the middle among the rocks, however it was way off to either side on the lower section of trail (right of photo) and really scrambled on the upper ridge to the summit (lower left of photo) where the view of the sky is nearly uninterrupted. Not only was the GPS track all over the place on this particular run on Bear Peak, but check out the corresponding elevation profile above. The purple S9 Baro tracks evenly and accurately, yet the blue line representing the 5 Plus is jagged and a bit haywire. This is clearly a result of the wandering track picking up extra ups/downs, creating erroneous vertical gain as well. I should also note here that these accuracy comparisons, though they represent the 5 Plus somewhat poorly in UltraTrac mode, are not at all indicative of it’s capabilities tracking in best most accurate mode. 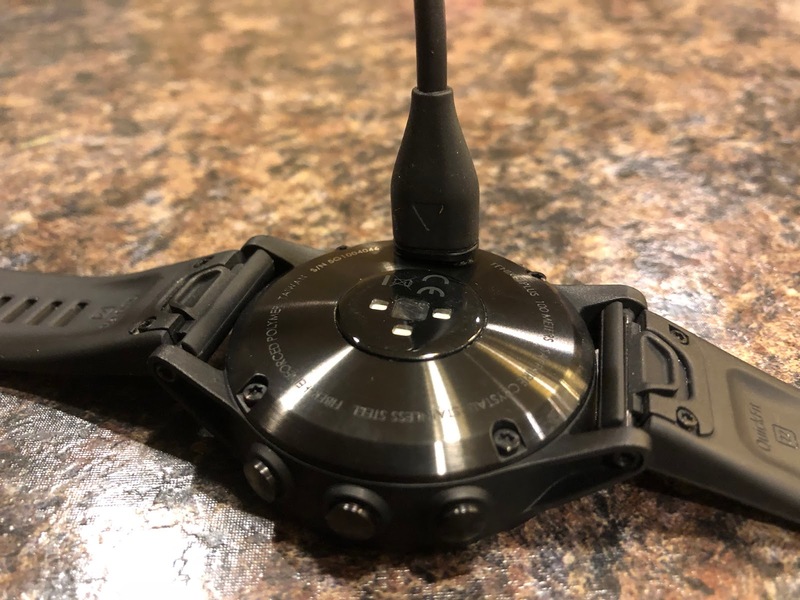 The altimeter is also comparable to several of the other watches that I regard as most accurate, the Ambit3 Peak, Suunto 9 Baro, Fenix 5X and Forerunner 935. 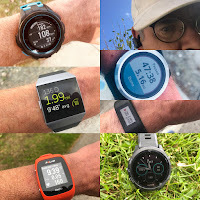 With any of these watches however, I find it nearly impossible to keep up maintaining an accurate real time reading due to barometric pressure shifts, but if calibrated at a trailhead before a run or hike, the 5 Plus is most always within 20 or 30 feet of actual elevation. 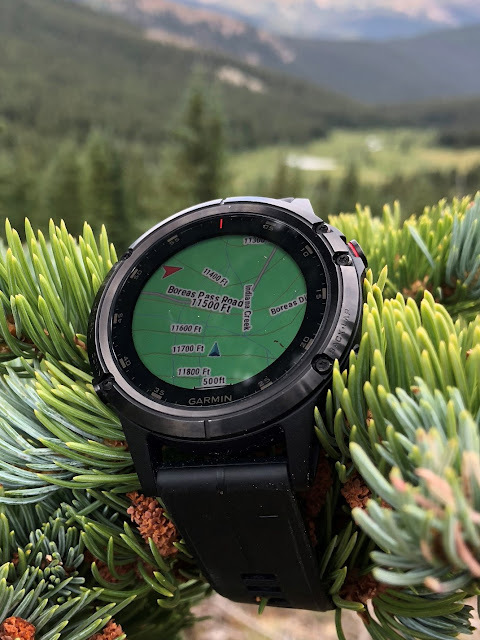 Unless I am navigating tricky mountain terrain where elevation readings are imperative, I typically do not worry all that much, even if the watch is reading 100 or more feet off, as long as I am getting an accurate cumulative total of vertical feet gained/lost throughout the course of an activity which it does provide. On a run up 14,115 foot Pikes Peak in August (above), gaining 7,400 vertical feet, the 5 Plus (blue) and S9 Baro in purple track perfectly even and accurate throughout. Above the 5 Plus (purple) and S9 Baro (Blue) parallel/overlap one another almost perfectly. Both watches are quite accurate and always parallel, overlapping is rare, but I must be diligent about calibrating both at the trailhead. The usually quite good 5X (in red) is a bit off of the mark, nothing too unusual here, but I think that this graph represents well that both the 5 Plus and S9 Baro both have superior altimeter accuracy. Previously maps were only available in the largest 5X model and though the watch was huge, it was the best selling model largely because of it. I too was very much drawn to the mapping capabilities of the 5X, where I essentially tolerated a watch that is way too big and heavy for my little wrists for the occasional need to use the maps. Enter the Plus series. A huge selling point is the availability of maps on all three versions including the increase in screen size in the 5S to match the 5 Plus and 5X Plus so as to ensure that the maps are adequately readable. The maps that come loaded on each watch are the 100k regional TopoActive maps (North America in our case) that are essentially a detailed base layer map with a topographic overlay on top. These stock 100k maps are very detailed and are likely sufficient for the majority of users, but if you spend a lot of time in the mountains or use the watch as a primary means of navigation in the backcountry, upgrading to the more detailed 24k mapset is recommended. The 24k mapset is sold by US region for an additional $99 and contain much more detailed topographical data, more trails, roads, features and landmarks. Same as above, 5 Plus/24k left, 5X/100k right in a more urban setting. A closer detail of 24k contours in the mountains. I have heard the occasional complaint of it being somewhat difficult to read the maps on what is still a relatively small screen, but I think there are several factors at play. Of course preference and primary use come into play. What exactly you are looking for and how good is your vision? Though the maps on watch could certainly be relied upon as a primary means of navigation, especially in a pinch, I use them in a somewhat different way. If I am hiking, backpacking or just navigating out in the world, I prefer a larger screen to more easily read and get a big picture view so I use the Gaia app on my phone or some prefer a dedicated handheld GPS. At slower speeds, this is much easier to do. 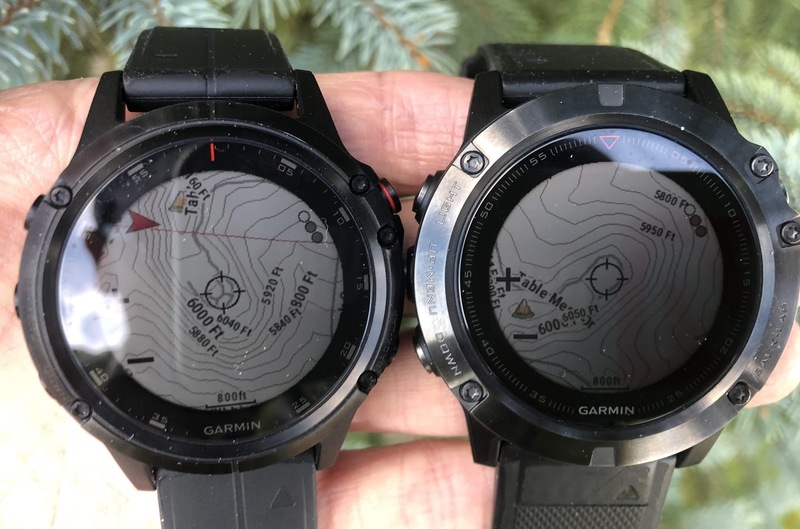 I find the maps on watch however to be extremely handy when either moving fast, moving off trail, in tricky terrain, in cold/bad weather, at night when it is hard to view landmarks or any combination of those factors. It is a great way to keep tabs on where you are, where you are going, which trail junction to select and where you are in relation to other physical landmarks and topographical features. Sometimes I have to slow down a bit and lift my arm a few inches, but find reading the map easy enough. Sam: With the Fenix 5 Plus, Garmin introduces Trendline Popularity heat maps for all sorts of activities. Garmin has accumulated billions of miles of activities and will fine tune what it calls Trendline Popularity Routing via its algorithms based on all of those miles. It applies to both trails and roads. The Garmin video below describes Trendline Popularity Routing and how to use it on the watch. 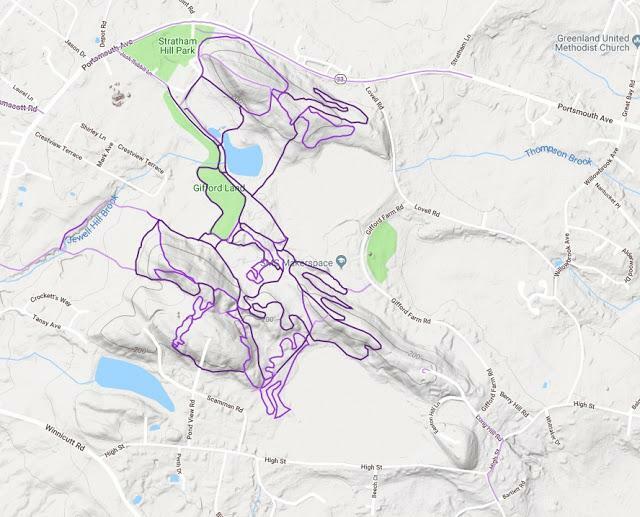 When I attempted to set a Stratham Hill trail route directly on the watch or in the app I found it included some roads so I chose to build my own in the web site directly using the heat maps and actual tracks as described above. This should to change over time as more data is accumulated and crunched.They indicate where users have been with darker shades indicating more trips along that segments in the area in view. From the heat maps, or for that matter any existing road on the maps, one can build a course. You can also search for and select a particular user's course in the area you have zeroed in on and then load to the watch to follow. 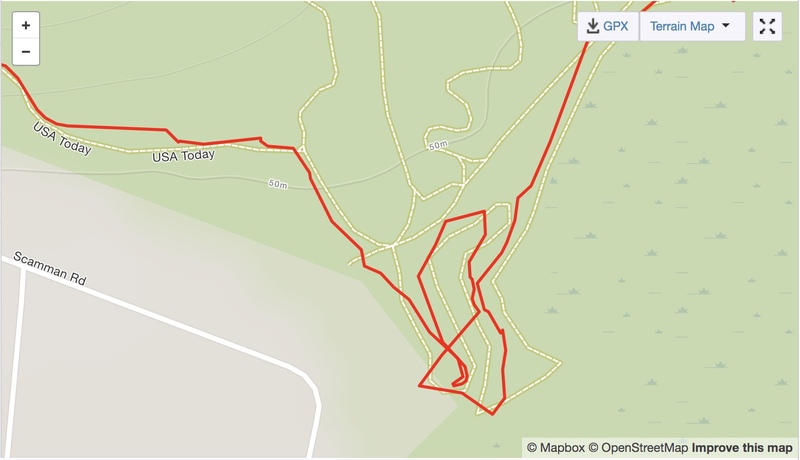 I noticed that GPS track quality varies for individual saved courses so decided to build a trail run course using the heat map tracks which seems to "average" all the individual tracks . In both cases the selected course is uploaded to the watch upon sync. The Garmin Connect heat map above, seen via the Garmin Connect web site, shows one of my favorite trail run locations, Stratham Hill Park in Stratham, New Hampshire. It is a vast complex of inter winding trails in the forest. Heat maps can be selected by activity: run, mountain bike, trail run, road cycling etc... As mountain biking, the focus of this area for many years, seemed to produce the most choices I selected it for building my course. The use of heat maps allows one to follow courses where the trail may not be in the database to follow a la car navigation as all roads are on the 5 Plus. Examining the watch closely, I see for all intents and purposes all the trails in the complex are shown. Interestingly, I do not find as similarly detailed a topo map on the Garmin Connect web site as I do on the watch as while the heat map tracks are listed the actual trails are not as on the watch, clearly different base maps are used with the watch using a choice of Worldwide DEM Basemap, NR, and TopoActive US 2017.40 100K topo maps and and the web site a choice of HERE, Open Street Maps and Google. 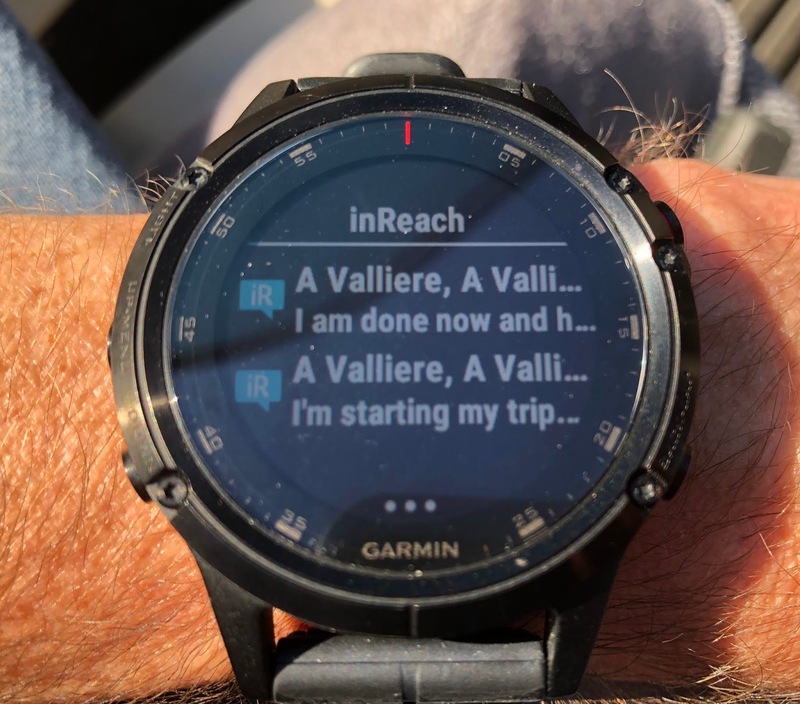 You can also create courses in the Garmin Connect app or directly on the watch but the capabilities are more limited. Select a distance and compass direction and it will create a course but as of yet I see no way to use the heat map in the app. So head to the Garmin web site for detailed planning. This is an interesting contrast with the Suunto S9 Suunto app where you can build courses based on heat maps for that watch's breadcrumb navigation. 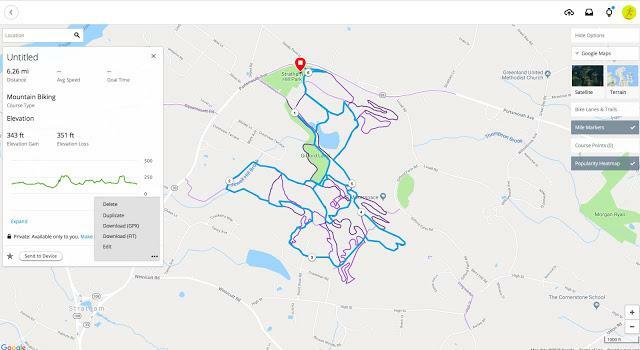 I created the course at the Garmin Connect web site above by clicking heat map segments on the base heat map creating the blue track above. The actual trails were not shown but do appear via the watch's topo maps. The page tabulated distance and vertical. At the trailhead I went to the Navigate app on the watch and selected my "Untitled" course. Note the time. As I selected Mountain Biking as the base sport in setting up, the time to complete was "unrealistic" for me... I should have selected running as my base for selection for a more realistic time estimate to complete which would have been based on other runners' experiences. Clicking "Do Course" gave me an overview of what was ahead of me. You can access Zoom and Pan. Once on course, the watch gently vibrates for up coming turns and junctions and displays the distance to the turn. Turn notifications appear to be based on future turns on the course and as the watch topo map also had the trail upon which my heat map route was based I had a good sense of what to expect. In the example below the notification ahead was for a junction. Very cool! If the trail is only based on a heat map and has no underlying topo trail track the 5 Plus will notify of sharp turns in direction, sometimes excessively, so as I found out in Park City where it notified me of every upcoming switchback on a heat mapped trail I uploaded. Generally speaking it seems to give advance notification of any upcoming sharp change in direction of 90 degrees or more. I wandered way off course to see what would happen as shown in the picture above. The orange line at the bottom indicates my travel with the blue triangle my location. Ahead of me is the trail as indicated on the topo map shown as a dotted line and not part of my planned course. The watch told me that ahead 433 feet I would rejoin the course at the purple line top right. And I did! A bit further ahead in the photo above I rejoin the course. It is at junctions with multiple trails that the routing comes in handy. There are many, many confusing junctions in this trail complex and while I know it well, if I didn't, and had a planned correct route, this level of detail is most handy and a real strength of topo map routing over "breadcrumbs" such as on the Suunto 9, a dotted line over or off the planned route over a plain background. The purple line rising from the bottom left indicates I had already been there today in my wanderings. The red line is offset from the track towards the bottom of the screen heading up as I ran through a recently cleared field area and not exactly on the track. As my planned course had a few modest climbs, a separate Climb Pro screen displayed each climb with advance notification of what was upcoming. Here I am a couple of tenths of a mile into the climb and the display tells me how far and how much climbing to go on this particular climb as well as vertical speed. All in all I was extremely pleased with the utility and information provided by the routable mapping during this first trail run with the Fenix 5 Plus. I did note that when I went way off course and wandered around for a mile or so then rejoined, even at times going in the opposite direction than planned that while it followed the track it no longer provided turn distance and notification information. One can use the the app or directly at the watch to create a road course starting from a particular location. These courses are, from what I can tell essentially based on Garmin's auto navigation software and maps. This feature is not nearly as sophisticated as using the web site to plot courses at this time. You can have the watch suggest a course from within the Run or Cycling activity app on the watch, defining distance and compass heading preference or round trip from your present location and a course will be created. As you run the watch will calculate, I assume based on current pace data, how long it will take to finish and when that will be. This screen is also available for a course you select on the web site and upload to the watch so for example this should be a way to predict race times for races. In the Run mode you can overlay two data fields over your map. I chose average heart rate and average pace. The watch will notify you, as for my trail run built from the heat map, of upcoming turns on your course but here with prominent arrows and not just a distance and more abstract directional arrow. Above it tells me I am 0.22 miles to a right turn onto Long John Road. This feature would be particularly handy for cycling where speeds are greater but is welcome for running too in unfamiliar territory. The change and direction of a turn is also indicated on a more textually oriented screen as one might see in an auto navigation system. And here I am about 100 feet from my right turn on Long John. Of course, there are multiple potential screens of in run performance data as well, all highly configurable. 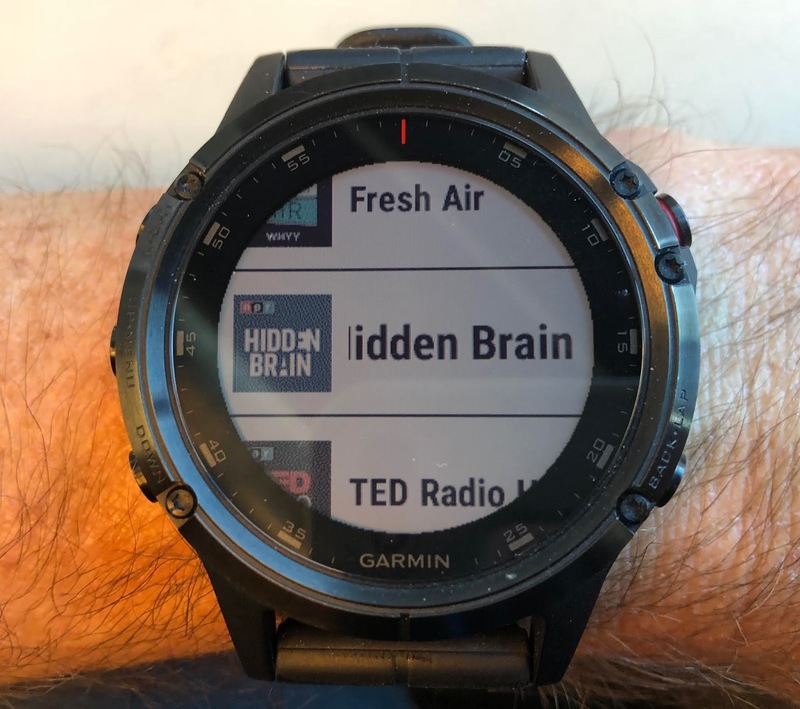 The "large font" three data field screen, shown above, is very legible in sunlight and appears identical or close to the Fenix 5's and Forerunner 935's. I like this large font three data field screen and for most runs it is my key screen displaying heart rate, average and lap paces. You can have up to four data fields on a single Garmin screen but other more data rich screens are available for free in the IQ Connect app store which can then be loaded to the watch. It is pretty clear that I am 16 feet from the turn onto Ocean Boulevard along the Atlantic! Jeff: Throughout the testing period I used the Heatmaps and Routing often, primarily for the purpose of the review, but I found it to be more than helpful when travelling to different parts of the state and other states where I am not as familiar with the area. Even with a very good sense of direction, I appreciate the turn by turn, which really helps aid in efficiency on a run, but for others with a lesser of a sense of direction, this feature is for sure a game changer. Used here in the Rocky Mountains, the Climb Pro screen associated with the course being followed is helpful to anticipate the usually long climbs to come, aiding in pacing and just getting a good mental picture of what to expect upcoming. I like that it breaks down each upcoming climb as they arrive and keeps track of your progress throughout. The On Board music player can hold up to 500 songs. Music is listened to through wireless Bluetooth earphones. The watch can play songs as I did download via WiFi or USB cable from my computer playlists. The 5 Plus can also play lists from the services as shown above, as just prior to publishing this review, it was announced that Spotify is now supported by Garmin on the 5 Plus series, 645 Music and the Vivoactive 3 Music. Music can be controlled from the watch but navigating to for example volume takes multiple button pushes and enough concentration that it is difficult on trails and requires slowing, so as a workaround, we prefer using the controls on the headset to get there more quickly and reduce the likelihood of a trip and fall. In our testing, we found the sound quality of the downloaded playlist superior to our usual streamed music. Sam tested with the wireless Plantronics Back Beat Fit 300. The Back Beat Fit had zero drop outs. Running GPS+HR+Music during a 49 minute run consumed 9% of the battery so one can estimate roughly 9 hours of use in this mode, though Jeff had better results as described below. Jeff: I often listen to podcasts and sometimes music while running, but have not been all that excited about the music option on a wearable, as I pretty much always have my iPhone with me for a variety of purposes and find it much easier to manage my listening through the phone. I will say however that having music on the watch is a very worthwhile and valuable feature for those who prefer to leave the phone behind. I was able to easily sync with my favorite headphones, the Plantronics Backbeat Fit, as well as the Jaybird Run and Jaybird X3. 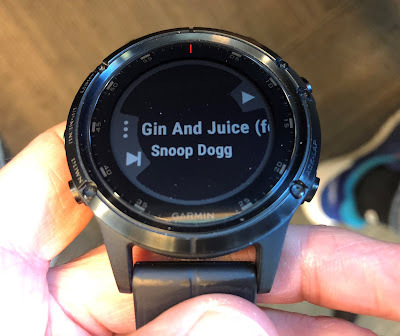 I was very impressed with the sound quality and clarity, which immediately transformed my skepticism about the music on watch feature. I had heard reports of minor issues with reception on the 5 Plus, as well as other wearables that have music, depending on which wrist the watch was worn on and in relation to the side of the body in which the wireless bluetooth transceiver is located. 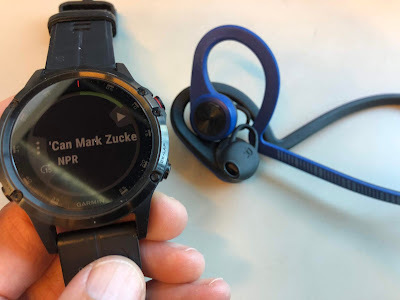 I have found no such issues, at least with the headphones that I have used, no matter which wrist I wore the watch on, or how I positioned the watch on the other side of my body. Even setting the watch on the kitchen counter and going about my business of house chores (just to test), I had no interruption anywhere in the room. Managing and transferring music and podcast files turned out to be easier than I expected, as you simply drag and drop files into the Garmin Connect app. on the PC and then sync up to transfer. If you have a lot of content to transfer, it does take some time, so I try to do ahead of time instead of being an afterthought on my way out the door. Battery life with music on took less of a toll than I anticipated. In fact, on my typical 90 minute runs, I would expend 8-10% of the battery and the times that I used music, I would only use up 2 -3% less with no change in any of the other settings. The recent addition of Spotify lends a huge boost to the appeal of the Music functionality on the 5 Plus, 645M and upcoming other music enabled Garmin wearables (apparently, the Spotify release did not cover all Garmin music enabled devices). 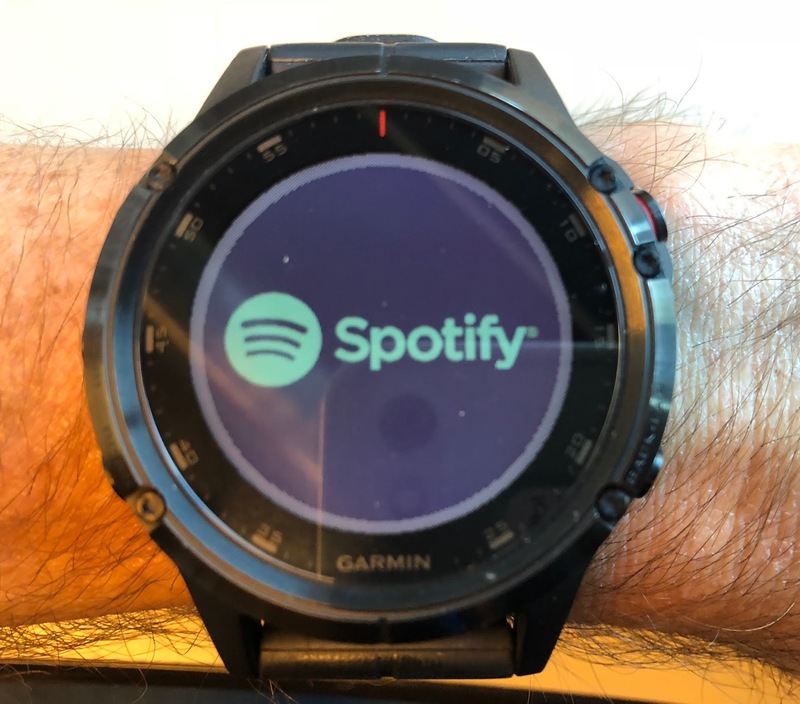 Upon hearing this news, I immediately signed up for a free 30 day trial for Spotify, which is required in order to work with the Garmin app. The price for Spotify Premium is $9.99/mo. after the trial period, or $4.99/mo. if you happen to be a student. Downloading the Spotify app from the Connect IQ store was a snap, then after loaded to watch, navigated to music app, selected Spotify and then was prompted to log in. From there, you can download albums, music, playlists, podcasts. It took me a few minutes worth of futzing around, but was really pretty straightforward and with a few more minutes of practice, I have it mastered. Syncing is a snap, but takes a few minutes. Here I have a few of my favorite podcasts. Spotify is a huge boost here, and as most people know, Spotify has a MASSIVE library of music and is very easy to search, download full albums and create playlists, all from your phone and then a few minutes to sync with the 5 Plus (however the transfer of music needs to happen over a Wifi connection and the watch needs to either have 50% or more battery life, or be plugged into the charger). The possibilities though with music, podcasts and playlists are nearly endless. 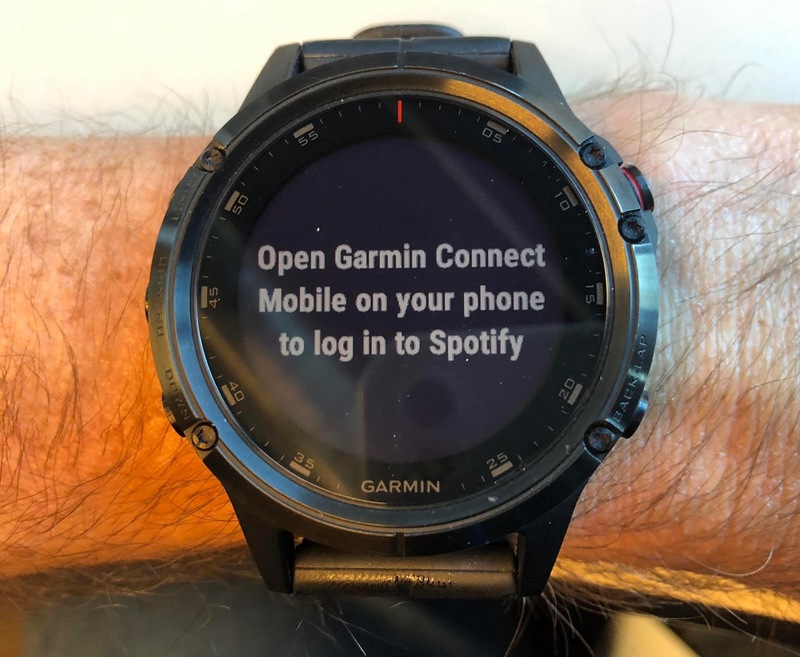 The music feature coupled with Spotify is a perfect solution for the Garmin user looking to easily bring music along without having to carry their phone. The gym comes to mind. As is the case with downloading your own MP3 files, sound quality here is phenomenal and for reasons I do not yet fully understand, sound quality seems to be superior to simply connecting with my iPhone 8, for both music and podcasts. Music has a more rich and robust depth of sound and podcasts are more crisp, a bit louder and more filtered with less static. All of that said, I'll probably stick with streaming from my phone for a few reasons. I always have it with me anyways, as I run in the mountains and use it as my camera for frequent photo opportunities. I also use it for a supplement to my inReach for more detailed maps with the Garmin/DeLorme or Gaia mapping, then often need to be reachable as a father of two young daughters. Additionally, the podcast selection for Spotify, which good, is no match for iTunes. I just find it easier and without penalty since I carry the phone. But again, that is not to take away from the amazing utility of the Music on watch option and I appreciate having it for those times I feel inclined to use it. 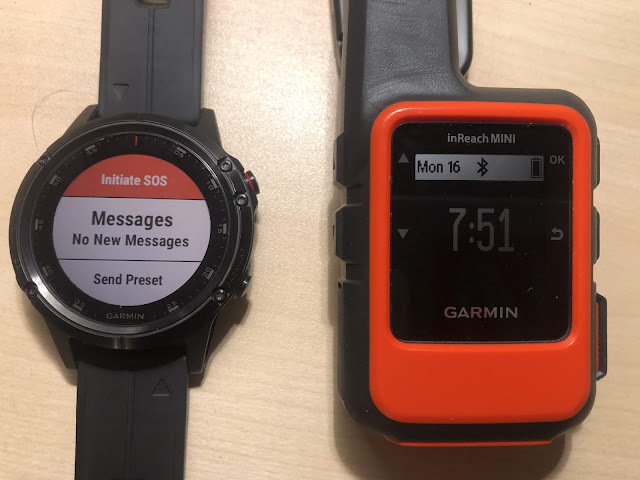 Like the previous Fenix 5 series, as well as the Forerunner 935, the 5 Plus series is compatible with the Garmin inReach. 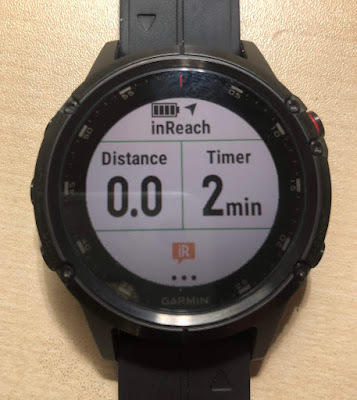 This is a superb feature, in that you can clip your inReach to your pack or stuff in a running vest pocket (which is remarkably possible with the inReach Mini), lock it and then start/stop tracking from the watch, send messages, track stats (redundant though since you are reading off of a GPS watch) and even activate an SOS call from the watch. I find the watch functionality to be not only more easily accessible from the wrist, but also more efficient and intuitive. From the watch you can activate/de-activate tracking. You can also compose a message and send (though is tedious). It is much easier to log into your inReach account and then create pre-set messages. If you want to cross check stats between the inReach and 5 Plus, you can. Though not nearly as robust as a certain popular smartwatch from a sheer quantity of app choices, nor can it transmit calls as a phone would , the 5 Plus, in my opinion, covers many of the essential features, and more, that make it a fine choice for day to day wear. 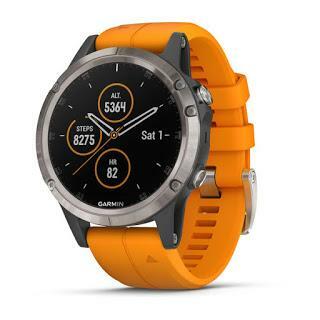 The more reasonable size of the 5 Plus (or 5S Plus if you want smaller) is good for day to day wear and Garmin, through it’s Connect IQ Store, offers a very wide array of free apps, widgets, data fields and watch faces to customize to your liking. I like being able to read texts, emails and other messages/reminders from the watch, then opt to clear them as I go, as well as choose customized watch faces to display the data I want handy, HR tracking, steps, weather, altimeter, sunrise/sunset tables, tide tables, alternate time zones, recent activities, lunar charts, battery gauges. Still plenty more to choose from, not to mention battery life is far superior to the leading smartwatch. GPS and overall sport, training, exercise functionality is also much more robust, which is probably why you are here in the first place. If you are an athlete and want the best outdoor exercise watch that can masquerade well as a smartwatch in the off hours, the 5 Plus is it. While on our our July trip to Northern California, the Tides app by Garmin was extremely helpful for predicting which beach to go to and when and also timing our adventures finding sea caves along the rocky coast that can only (safely) be accessed at low tide. Like the 5 series, the 5 Plus series also supports the Garmin Quickfit bands that can be traded out in seconds in a literal snap to match your kit or dressing up for work or formal events. You can choose between a wide range of silicone colors ($49.99), as well as leather ($79.99), stainless steel ($149.99) or Titanium ($229.99). The Quickfit bands are specifically size to each model, 22mm for the Fenix 5, 5 Plus (and Forerunner 935), 26mm for the 5X, 5X Plus and Fenix 3/3HR and 20mm for the 5S and 5S Plus. One very noticeable improvement is that the 5 Plus is much faster when scrolling through the screens. Not that previous Fenix models were slow, but when operating the buttons on the 5 Plus, it is noticeably quicker moving from one screen to the next, nearly instantaneous in fact. Startup from sleep is quicker, as is accessing maps, acquiring satellites, loading tracks, calculating track back and finding/following routes. Contactless/NFC payments are now available on the Fenix series after being introduced on the 645/645M and Vivoactive 3. Garmin Pay is easy to set up, provided that your card/bank is on the ever expanding list of supported institutions here. Fortunately, my card was supported and with a few simple prompts, entering card info, some security hoops to jump through, as well as a phone call with the bank, I was all set up. Once past the initial setup, using Garmin Pay is very simple, just hold the upper left button to access the quick menu, rotate dial to the wallet icon, select, then enter your pin. Then swipe your watch in front of the reader. The primary limitation is that not all stores have readers, so I would not rely upon it, but once you have a routine down, having the option to pay from the wrist is handy. Jeff and Sam: The Fenix 5 Plus series in our opinion, is the best GPS sports focused watch available. 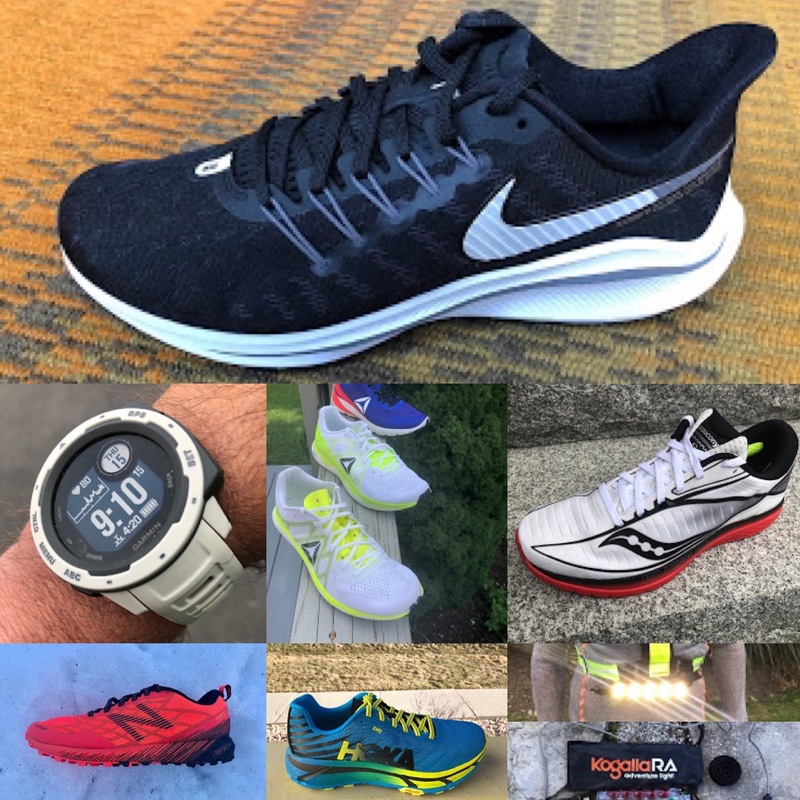 With a very wide range of available sport tracking modes, deep training metrics, the ability to pair with a host of training tools, fitness apps and peripherals, the 5 Plus series will for sure satisfy anyone from the very beginner casual hiker all the way up to elite level athletes in any sport. Add to that the rugged build, on board mapping, onboard Music storage, Garmin Pay, optical HR, Trendline Routable courses, Quickfit bands, inReach integration, a host of customizable apps, widgets, watch faces and data fields, the 5 Plus is our first choice for a do it all watch. We could gush almost endlessly about the 5 Plus series, but the price range, all starting at $150 more than the previous 5 series is a LOT of money to spend on a GPS sport watch and needs to be addressed. Are they worth the $700 and up? I think it really depends if A). you can afford it and B). if you can justify it. You can spend at least $200 less and get most of the whiz bang features and equal accuracy and comparable battery life by buying a Forerunner 935. All you would be missing would be onboard Topo maps, Galileo, Garmin Pay, onboard Music and Trendline Routing, so I think important to ask if you REALLY need those additional perks. 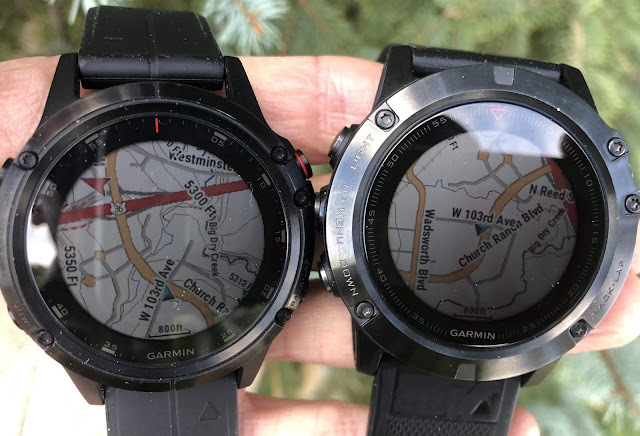 You could also go with a Fenix 5 series and sacrifice the aforementioned new features, but with the 5X you could still have the maps and slightly less GPS/altitude accuracy (though this difference is negligible, certainly not make or break). If all the whiz bang apps and customization is not important, one might save some money buying the Suunto S9 Baro, where accuracy is equal and battery life is superior, far superior when considering FusedTrack. Beyond the price, our only other reservations would be the decreased battery life specific to the 5 Plus, going from 24 hours to 18 hours. We found even 18 hours to be a bit of a reach, possible if really trimming down features to bare bones and overall unpredictable. I was hoping battery life would at the very least be equal, if not better as shown possible with the 5X Plus. We long for the ability to scroll through data screens while the watch is locked, which is still not an option in the 5 Plus series. Lastly, the increase in weight with the 5 Plus of 3 grams from 86-89 grams is a bit of a drag, though you can go with the Titanium model and save 11 grams. 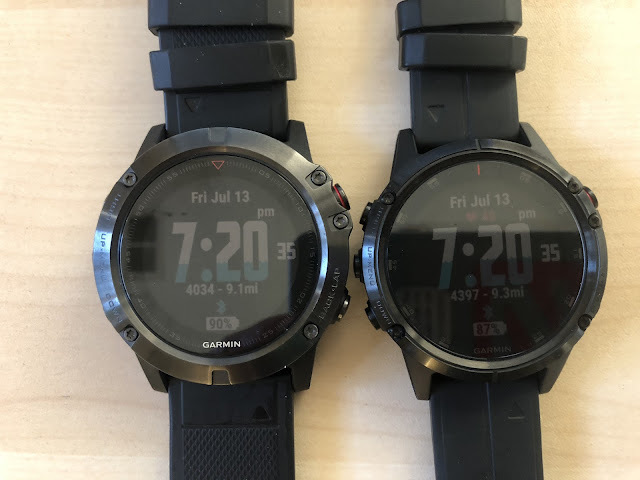 Garmin Fenix 5 Plus vs. Suunto S9 Baro (RTR review here): These two flagship models from the 2 primary sport GPS watch makers are both the best yet from each respective brand. Which watch would be best for whom depends on your use and preferences. If you are into ultra distance events and are looking for top notch accuracy, not concerned with bells and whistles and very long battery life is one of your top concerns, than the S9 Baro would be an ideal choice. You save $100 over the entry level 5 Plus, but you'll not have a host of available apps, widgets and configurable watch faces, but the choice of exercise modes and sport functionality is comparable. 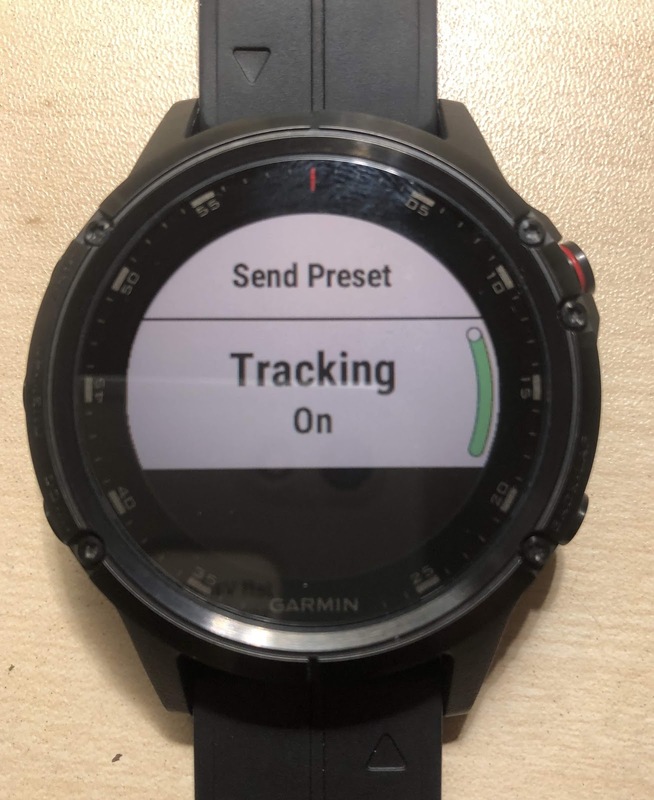 You'll also forego maps, music, Garmin Pay, Climbpro, etc..., but you'll get a touch screen and Suunto's amazing smart battery modes and FusedTrack that pieces your track together between 1 minute or 2 minute satellite pings to sip battery. You can get up to ~140 hours of surprisingly accurate continuous data recording. If it is in your budget however, battery life is less of a concern and you want it all, a competent smartwatch to wear all day and track 24/7, then Fenix 5 Plus is the obvious choice. 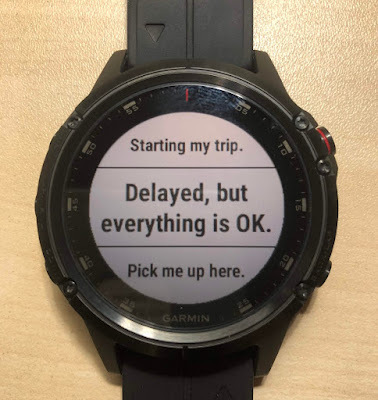 It is equally accurate, has maps, is way more configurable and Garmin has a much better app/online platform/software, where Suunto is clearly struggling. I view the S9 Baro as a piece of gear that you put on for exercise as you would your running shoes, where the 5 Plus is a watch you wear all of the time. Garmin Fenix 5 Plus vs. Fenix 5X (RTR reviews here and here): The 5X is slightly less accurate, but only slightly, and still has maps. If you can live with the size/weight and are not interested in Music, Garmin Pay, ClimbPro and Trendline popularity (and a few other minor changes), then you can save some money with the 5X and also have better battery life than the 5 Plus (though not more than the 32 hours of the 5X Plus). 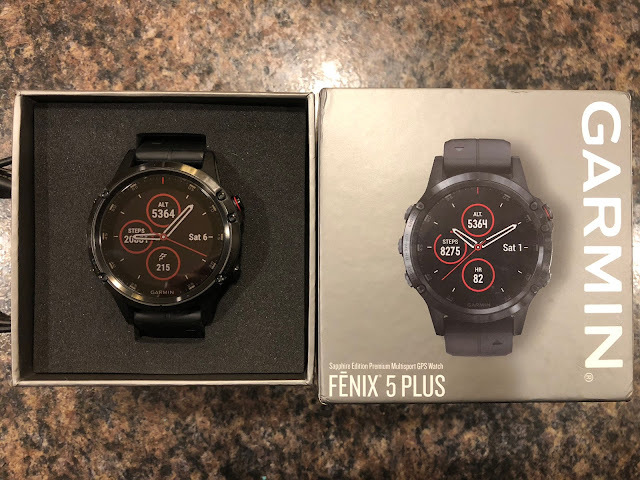 Please Shop for the Fenix 5 Plus Below! Thanks for the thorough review. One point of correction, as of July/August the Forerunner 935 does support Galileo. I'll also add that one annoyance of the Suunto 9 is that you can only pair one bike pod at a time. So if you have more than one bike, whenever you switch you have to re-pair the pod (the previous one gets deleted). For a high end multi-sport watch this is pretty sloppy, especially as the Ambits could pair three pods. Thanks for the update Florian and thanks for reading. Nice review Jeff, we are kinda neighbors. I have a Suunto 9 baro and am very happy with it. I may have missed it in your review but my understanding is using maps/climbpro on the 5+ will seriously reduce battery life so your 18h on best will be less than 12. Can you comment on this? 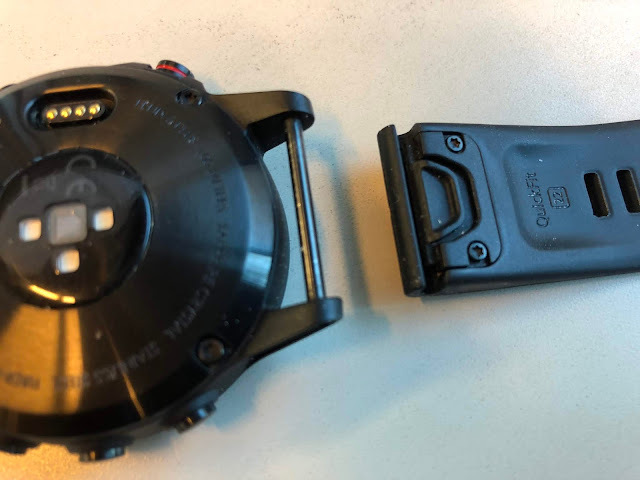 This is what I find a serious problem as the breadcrumb and altitude navigation on the Suunto will not impact battery on best fix and will only impact battery on Endurance and Ultra modes only when you switch over to the Nav screen. This is the primary reason I like the Suunto. I have the maps on my phone if I need them. Having 8-12h of battery with maps on would be a dealbreaker for me. Hey Bradley, I too have read about impact on battery life when using maps, but I am not sure that I have really experienced that. Mainly because battery life and drain rate overall for the 5 Plus has us a bit stumped, as it is quite inconsistent, maps or no maps. I think there are so many factors at play, either known settings or software updates or something running in the background? I wish there were an app or something that could break it all down. Ultimately, battery life on the 5 Plus is the #1 issue I have, especially since the 5 had a solid 24 hours, so a bit frustrating. That said, given that I rarely get out for any outings over 6 or 8 hours and am pretty diligent about charging as necessary every few days, I don't worry about it too much for my needs. Unknown, I lean toward the Garmin, especially if the difference in price is not a factor for you. Though the Fusedtrack and intelligent battery modes in the S9 are awesome, accuracy overall is comparable, the Fenix series has more to offer overall IMHO, it is just an overall more satisfying experience. If you do buy, don't forget to click through the links here and help support RTR. Thanks for reading and let us know what you decide. Jeff.